How to manage your cloud applications so that your small business can stay ahead. Cloud applications have opened the way for many small businesses to take advantage of capabilities previously only accessible to corporations large enough to afford custom software. But the advent of the Software as a Service (SaaS) pricing model has expanded the accessibility of these solutions. Now, small businesses can use a wider range of cloud-based applications to handle a diverse range of software functions, from accounting to project management to file storage. However, because it can be so easy to adopt a cloud application, many businesses add new SaaS programs piecemeal, without considering how the program integrates with their workflows. Businesses can end up paying for redundant applications, or for services they no longer use. Cloud performance monitoring helps businesses keep track of their various applications, discover which ones are or aren’t performing to well, manage security and access protocols, and make sure backups are happening regularly. One of the biggest draws of cloud-based applications is the ease with which they can be joined. Businesses don’t need to download and install programs across multiple devices. Instead, they only need relevant users to sign in to the online platform. Furthermore, monthly, cancel-at-any-time contracts make it easier to justify to the accounting department. As a result, software adoption practices can be disjointed, with employees quickly signing up for—and then abandoning—SaaS applications, but not properly cancelling accounts or checking to see if the company already uses a similar service. Managing cloud-based service accounts can be similar to handling software licenses. While small businesses can often handle this themselves, it’s easy to lose track of account information if it’s not centralized. And for large businesses, failure to account for overlapping cloud services or keep a record of who has access to different services can lead to a number of small expenses piling up. Effective management services help businesses keep track of the accounts they’re paying for, as well as who has access to those services. Many companies originally had concerns about moving to the cloud because it meant placing their sensitive information in the hands of a 3rd-party provider. And, with a new story about compromised data security breaking every week, it’s no surprise businesses have these concerns. However, for many businesses, the security threat lies with their own business rather than the 3rd-party provider. For any large SaaS company, security must be a top priority. A security breach would compromise the trust their clients place in their services, and could spell the end of their business. That’s a risk they can’t afford to take, so many of them invest heavily in top security solutions and take compliance very seriously. On the other hand, small-to-mid-sized business often don’t have the knowledge or resources to make these investments. They may think they have reasonable security measures in place while remaining blind to their weaknesses. Or they may not have appropriate practices in place for managing access to cloud applications. As a result, a security breach might happen as the result of a user not choosing a strong password, falling victim to a phishing scam, or accessing an application on an unsecured network. To limit the scope of a potential security breach, organizations should organize their system in such a way that a single user account being hacked compromises as little as possible. This means managing access permissions of online accounts, as well as being systematic in removing old users from a system when they leave the company. Breach detection software can also monitor activity and send an alert if something suspicious occurs, such as multiple login attempts from an unknown location. Data loss is a significant threat for many businesses. If a business hosts sensitive information on a private server which is then damaged or destroyed, many important files could be irretrievably lost. Even a loss of access to this data could prove costly for a business. This is why regular backups of company data are so important. Fortunately, cloud storage and backup services make it easier to manage these routine tasks, and to ensure that key data has redundant backups when necessary. However, even though these backups can happen more efficiently, they still need monitoring to ensure that the right files are properly stored. Cloud backup management helps businesses maintain their backup schedule so that no important files are lost. Is private cloud the better option for your business? We can help your business make the transition to cloud working with your business to find the right combination of trusted SaaS applications that will accomplish your business goals. By helping you track and manage your current accounts, we can identify and eliminate redundant applications and ensure your IT needs are satisfied. However, a private cloud environment could provide the solutions your company needs to better manage the applications you use and to stay on top of security measures. Private cloud gives your business the experience of a regular desktop solution, but with accessibility from any work station. This makes it an excellent choice for businesses with remote worker, employees who might bring their computers on field work, and any user who may need to pick up work exactly where they left off, but from a different location. The benefits of accessible cloud applications are available for businesses of all sizes. 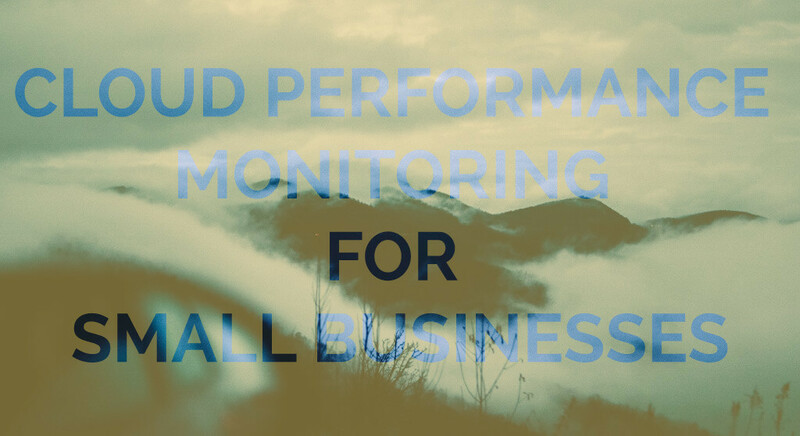 Contact us if you would like to learn more about cloud performance monitoring for your business.